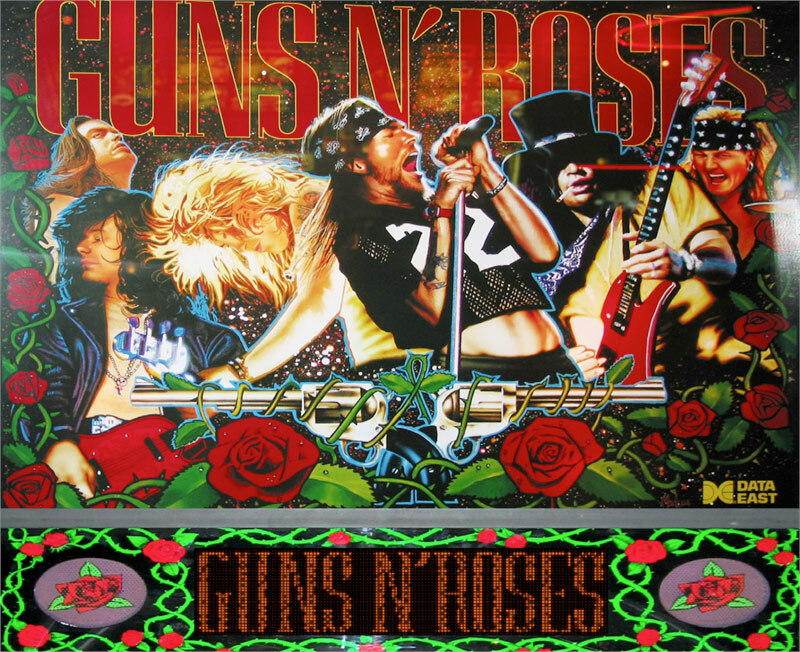 Guns N’ Roses Pinball leaps off the stage into non-stop, head-banging, hard-rock, screaming pinball action! 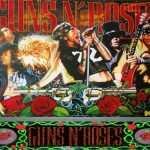 Featuring 9 of Guns N’ Roses greatest hits including Sweet Child O’ Mine, Paradise City, Welcome To The Jungle, Night Train, My Michelle, It’s So Easy, Patience, Garden of Eden and this was the worldwide debut of Ain’t Going Down! 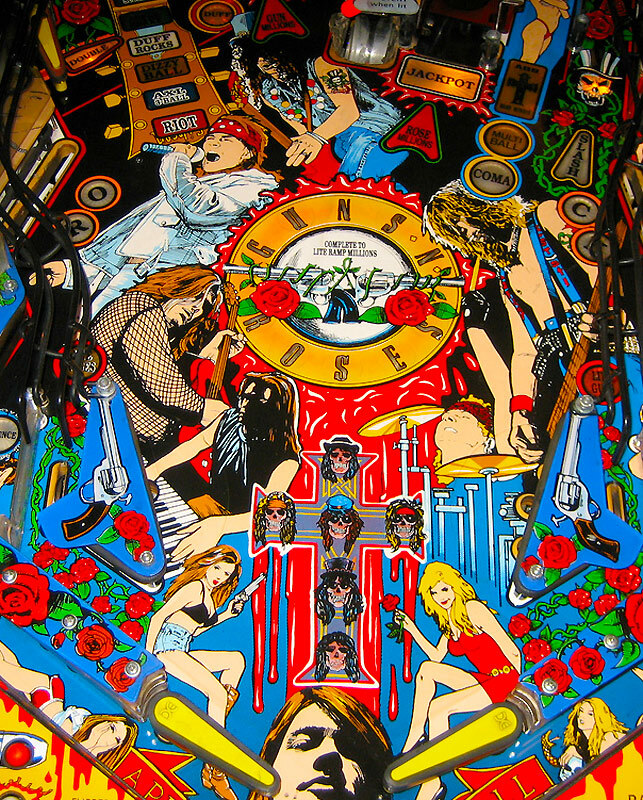 The objective of the Guns N’ Roses Pinball is to gather up the members of the band get them rockin’, and whip the crowd into a nonstop frenzy. 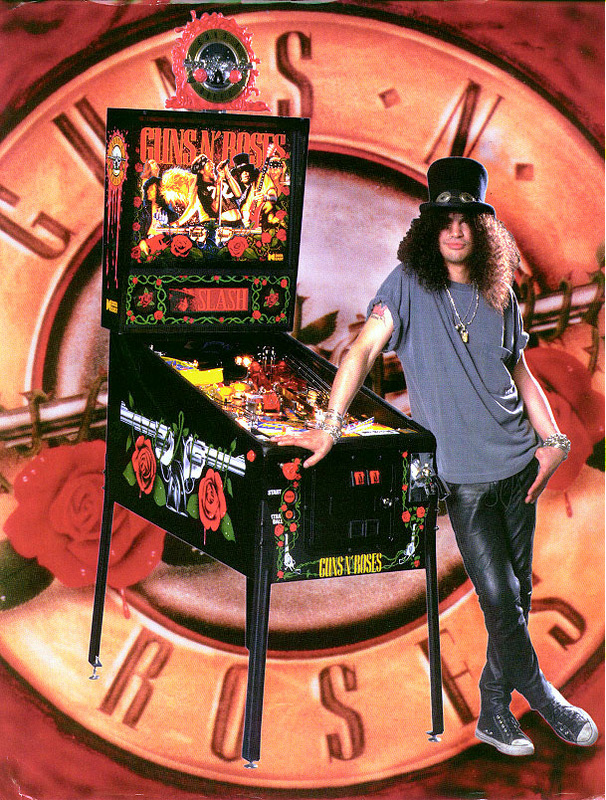 Ride a motorcycle with Gilby Clarke, start multiball with Axl Rose, and bring in Matt Sorum to Score. 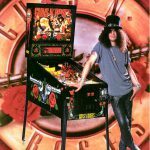 Rock out with Dizzy Reed, grab a Jackpot with Duff McKagan, get all the band members on stage for multiball, then cut into a wicked Slash Solo. 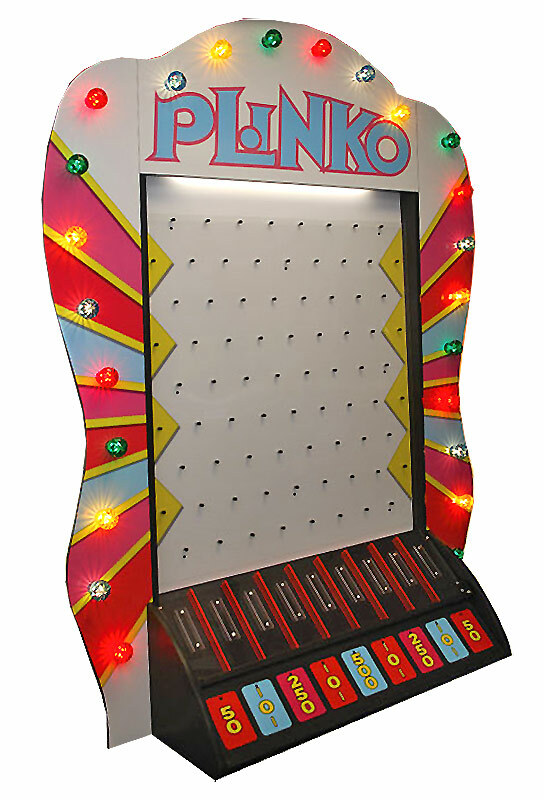 When you’ve completed all of the Guitar Modes, start a Riot and play the table to build up the Jackpot. 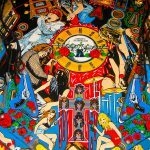 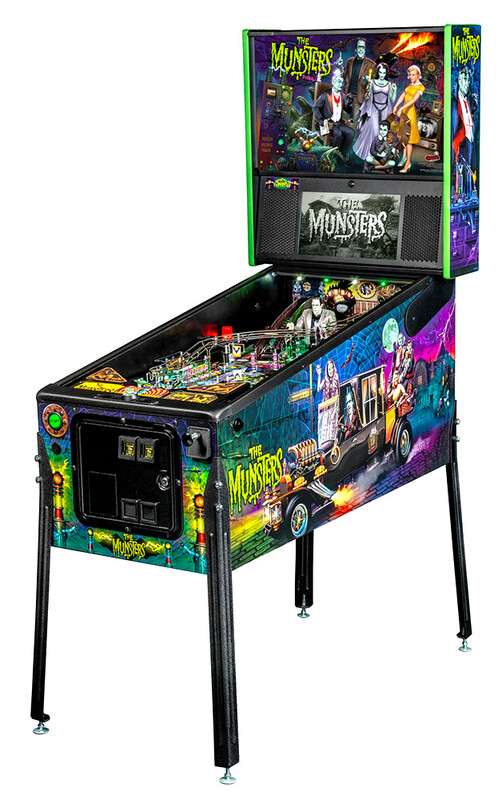 This is a rare and highly collectable pinball machine among music and pinball fans. 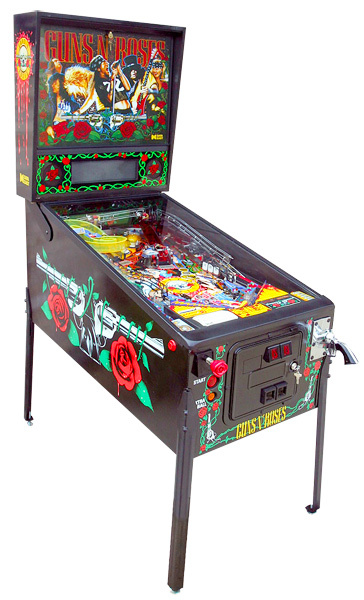 Only 3,000 units were ever made.